The Most Popular, Easiest to Use Web Publishing and Content Curation Platform for Libraries. LibGuides is an easy-to-use content management system deployed at thousands of libraries worldwide. Librarians use it to curate knowledge and share information, organize class and subject specific resources, and to create and manage websites. 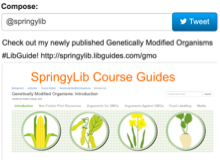 Increase the usage of your library's resources and content by showcasing them in LibGuides. 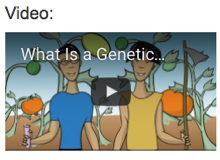 Create Subject, Course, or Topic Guides. Create and Maintain Library Websites and Blogs. Build a Cloud-based, Secure Staff Intranet. Everything in LibGuides is reusable. Share links, content, pages, and guide templates across your institution or with the community. Reuse guides from the LibGuides community and benefit from the knowledge and best practices of librarians worldwide. Our exclusive LTI Module for LibGuides CMS enables you to insert targeted library resources into any LTI-compliant courseware platform. All content within LibGuides (links, RSS feeds, documents, etc…) can be integrated within any website using our easy-to-use widgets and powerful RESTful APIs. Turn your LibGuides into an easy-to-use repository of librarian-created content and distribute it into Courseware, Facebook, Blogs, Discovery Layer, OPAC, or into any other website. Easy Maintenance, Tons of Features - What's Not To Like? You're a busy bee, we know, so we made it easy and effortless to maintain your LibGuides content. With LibGuides, your users always have up-to-date information - about your guides, about you and your staff... and about the entire library! View an actionable report of broken links inside your guides so you don't have to worry about your users uncovering broken or expired links. 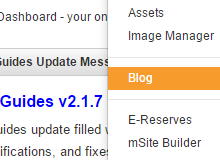 Create and maintain blogs inside LibGuides and keep your community up to date with news, information, happenings, etc. 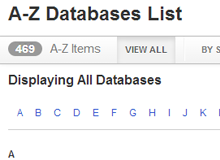 Create an A-Z list of databases and subject best-bets. Automatically include proxy info, manage trial databases, etc. 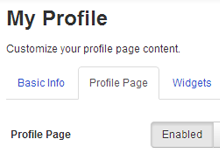 Create profiles for librarians and showcase their subject expertise, guides, contact info, chat, etc. Mini profile boxes appear on every guide, too. Promote guides and blogs with our integrated social media publishing. Auto-capture screenshots of your guides & blog posts to visually enrich your social posts. LibGuides SEO makes your content discoverable by Google and other search engines. 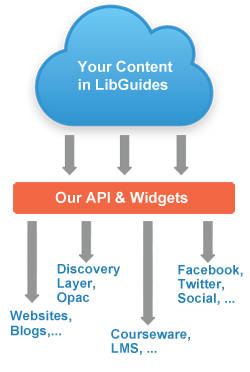 Ingest LibGuides content into your own search via XML or RESTful APIs. Our point-and-click interface enables creation of great-looking content with no programming skills required. Easily embed video clips, gallery boxes, book covers... or any media to make your content stand out. 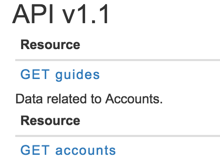 Real-time insight into your system usage, including hits on guides and individual assets. Drill down to individual guide reports to see how many times guides were accessed each month. Produce reports detailing the success of your Information Literacy and Library Instruction programs. LibGuides CMS offers even more detailed statistics such as # of user sessions, browser and OS breakdown including mobile devices, search terms stats, referring URLs, and more. LibGuides CMS - LibGuides Supercharged! LibGuides CMS takes your LibGuides to the next level. 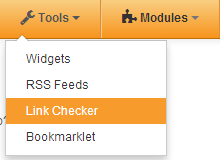 The CMS version has all the functionality of LibGuides plus many additional features. It includes fine-tuned access controls, content protections (IP ranges, passwords), groups for better organization, additional A-Z Database management, additional account levels, & granular user permissions. It also comes with LibWizard Lite, our forms/survey builder. Our E-Reserves module is the most cost-effective way to manage course reserve readings at your library. The powerful built-in document management functionality integrates fully into LibGuides and enables you to manage it all while your users get a single point of access for all guides and e-reserves content. Browse the LibGuides community site and see what librarians the world over are doing with LibGuides. Or, check out "Springy Picks" which showcase a selection of best-of guides. Note that both links below open in a new window. The LibGuides' ease-of-use and flexibility make it an ideal website-building platform. 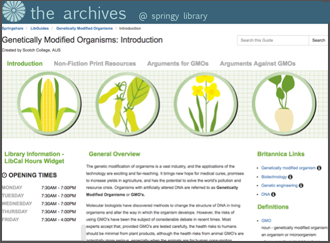 Check out a few examples of beautiful, functional, feature-rich library websites built with the LibGuides and LibGuides CMS. Note that the link below opens in a new window. LibGuides is one of the most flexible platforms I use. Not only can it do almost anything, the interface is so intuitive that anyone can skillfully use it. I've taught many folks at my school how to use LibGuides for their course-pages, project descriptions, photo galleries, and more! Plus working with the folks at Springshare is always a pleasure! LibGuides plays nice with others. Integrate LibGuides content into any other web-based system, and the other way around. Use additional tools from our #librarianfirst platform and super charge your LibGuides experience! 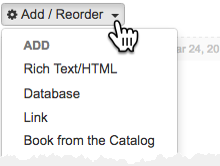 Embed LibAnswers/LibChat widgets on every page, so your reference librarians are only one click away. Springshare's E-Reserves module is fully integrated so students can find E-Reserve items inside course guides. Integrate LibWizard quizzes and assessments to test the patron's grasp of the LibGuide subject matter. Embed Surveys and Forms from LibWizard inside any LibGuides page. Unified LibGuides search shows the results from your LibAnswers system and any matching events from LibCal. Course guides created for specific courses and faculty are automatically imported into LibCRM faculty profiles as interactions. Embed guides and library content into any LTI-compliant courseware with LibGuides CMS. Over 120,000 librarians worldwide use our affordable, easy-to-use tools. Discover how libraries just like yours are using the Springshare platform to deliver amazing service and increased engagement.